For generations, young men have used Yo Momma jokes to torment their closest friends (e.g., “Yo momma so ugly, they filmed Gorillas in the Mist in her shower!”). ♥ Yo momma so considerate, she puts sheets on the couch when I stay over so it looks like I slept on it. ♥ Yo momma so hygienic, she sings the whole birthday song while she washes her hands to ensure that they are clean. ♥ Yo momma has so many cats, it’s like DAAAAAMN! Which one should I pet first? ♥ Yo momma so old, I sometimes question if what we have together is right. 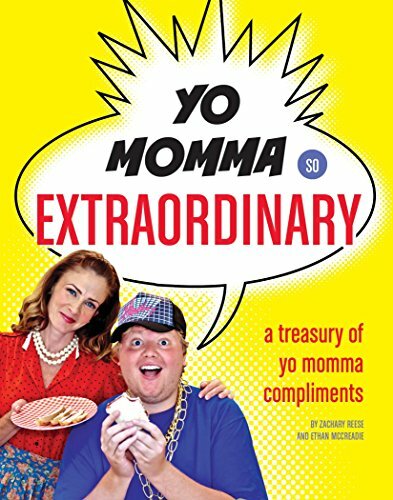 Illustrated with dozens of ridiculously funny photographs of Mommas (and the men who love them), this odd little book will make a wonderful Mother’s Day gift for the quirky momma in yo life. If you have any questions about this product by Quirk Books, contact us by completing and submitting the form below. If you are looking for a specif part number, please include it with your message.